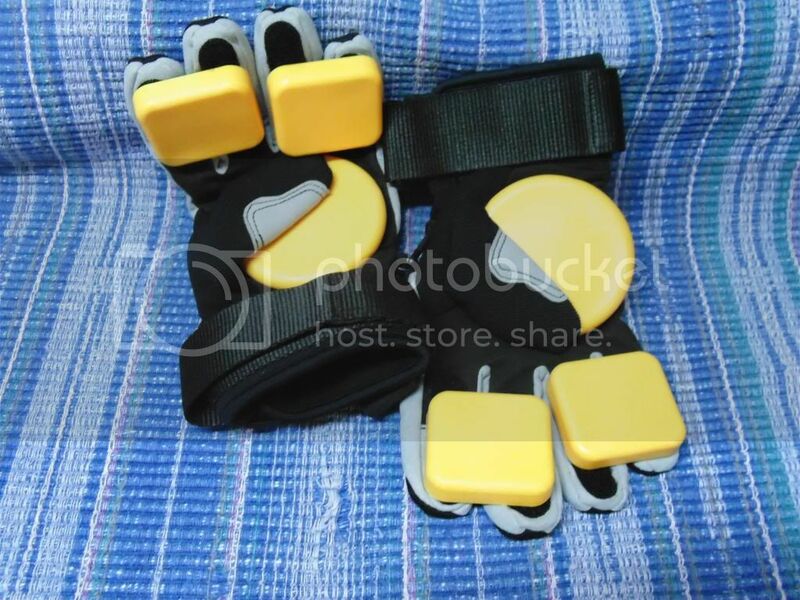 Hi Fletch i have been using the loaded gloves the only critisism i have is the fingers are a sinthetic material and ive worn holes in the tips. 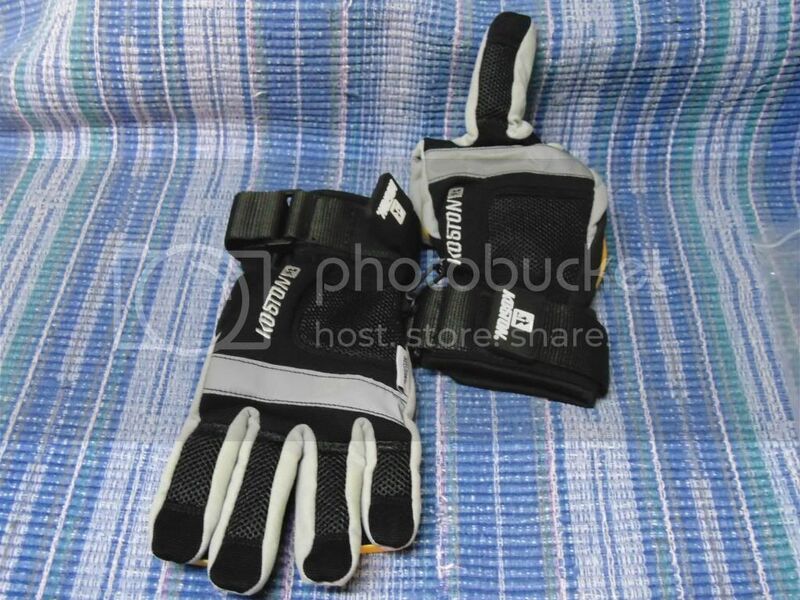 the good points for the loaded gloves is the soft wrist gard insert and the strap make them firm around the wrist. good for when a slide or drift goes wrong. im nearly due for some new gloves and landyatch look more durable being lether. duble lether on the finger tips or lether with a layer of kevlar would be the bees nees. If your sliding the loaded gloves are cool, but for downhill the landyachtz are better in my opinion. Double leather on the finger tips ,easy to grab the board, easy to put on/take off. My friend crashed doing DH with the loaded gloves and the fabric ripped apart as well as his hand. I own both and only use the Landyachtz for DH, I slightly miss the feel the loaded gloves give more wrist support. I use my sliding gloves. Gardening gloves with cutted chopping board pucks on it, works fine for me. Some people take cheap bike gloves (more ajusted then gardening gloves!!) and add pucks on them. Not as esthetical as Loaded or LY gloves but works just as good and you can make them the way you want! (also, they are more likely to be vegan, which is awesome for hippies like me). For DH spend $50 on ebay and get a proper set of moto gloves with kevlar and leather. Add pucks in gravity glove style and no other pre-maid glove will come close for build quality, durability and comfort. I tried the garden glove / chopping board route and couldn't get the pucks to stay on, tried all sorts of glue to no avail. Not after a full on DH glove as yet just something that will protect the palms for a bit of sliding bert style and as a balance point. No glue dude. Use a torch, melt the plastic a bit and put it on the glove (previously rashed on the road a bit to make it rougher, sticks better). Had mine for more than a year, still in perfect shape. go to an 'op' shop and pay $2 for some shite fluro wristguards.take out the rear and front support braces.put the top of hand one in the bottom slot. grab your street hockey puck[or appropriately shaped nylon/teflon cutting board section] and put it underneath where your palm sits ,when centred,drill some holes through the inside of the plate into the puck inserting short self tapping screws[about 6].a bit of liquid nails would probably help but not if you want to ever get it off again.put some tape inside the glove over the screw heads just in case they pop out and horribly mutilate mrs. palmer. you are now a future primitive downhill dude!